I was so energized watching it, I was bouncing as wildly as the ping pong ball. This video perfectly demonstrates what resonance is: an energetic exchange of frequencies or vibrations! I’m no Nikola Tesla, but I give this physics teacher an A+ in demonstrating the visibility of energy in motion. I know what you’re thinking, “Ok, cool science video Stacy, but what in the world does this have to do with me?” Fair enough. You are a human tuning fork! You emit a unique vibration into the world 24/7. Just like that tuning fork, your energy is “tapped” with every thought you have, every feeling you emote, every belief you carry. This vibrational signature affects those around you. And, vice versa. Matching energy from others transfers back to you, like the tuning forks in the video. This exchange either amplifies or cancels out your energy depending on the other tuning forks (people) around you. Let me demonstrate this natural entrainment (or lack of) by using these cool graphs from The Biology of Belief. I love a good graph, don’t you? 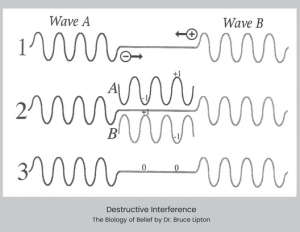 This first graph illustrates what’s called destructive interference – when two energy waves come together that are not coordinated. (1) As one ripple is going up (Wave A), the other is going down (Wave B). (2) They are out of sync. (3) So, when they meet, their waves cancel each other out. Your husband is getting on your last nerve today. You want salad. He wants a grease bomb. You’re ready to book a trip to Tahoe for a yoga retreat. He’s not going anywhere without great surf. This is two tuning forks cancelling each other out. Ugh. No beautiful pitch coming from either of you. Just dead air. 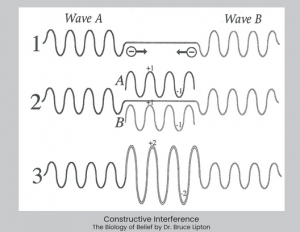 Now picture this beautiful example of resonance or constructive interference. (1) Both Wave A and Wave B are moving toward each other with their ripples in phase. Both are going up and down at the same time. (2) Their cycle patterns are aligned. (3) So, when they meet, their waves are amplified. It’s Friday. You’re daydreaming at work about you and your husband having some alone time after a hectic busy week when the phone rings. It’s him! He’s wondering if you have plans tonight because he wants to take you to the new Sushi place around the corner you’ve been talking about. Can you hear the sweet sound of harmony? Those forks are vibrating and the wavelengths are amplified because you’re in sync. Speaking of being NSYNC…let’s use them to emphasize entrainment. This former boy band is made up of 5 separate guys – Justin, Lance, JC, Joey, and Chris. Each of them could have made solo careers from the get-go, resulting in various levels of success, I’m sure. Instead, they synchronized their energies into a whole, a group, which amplified their energy and success. That’s resonance! It’s what you want to feel when you’re around people. You feel MORE when you’re with them. Not that they complete you because you’re already whole. It’s that when you are entrained and pulsing together there is more energy for all of you than there would be for each of you alone. It’s like the girls in Pitch Perfect singing their hearts out to today’s hits and yesterday’s favorites. One girl starts trilling along in a succulent C sharp and the other girls join her one at a time, matching her pitch. The result is a beautifully harmonious rendition of No Diggity by Blackstreet. They all resonate with the same frequency and, together, it’s amplified. It takes talent. And it takes the right ear to be able to match a frequency. Or…it takes the right resonance. What kind of tuning fork are you? Are you the note of C# at 138.59 Hz and resonating with being patient, calm, and grounded in common sense? Or, are you a bit pitchy? May I suggest getting a tune-up? 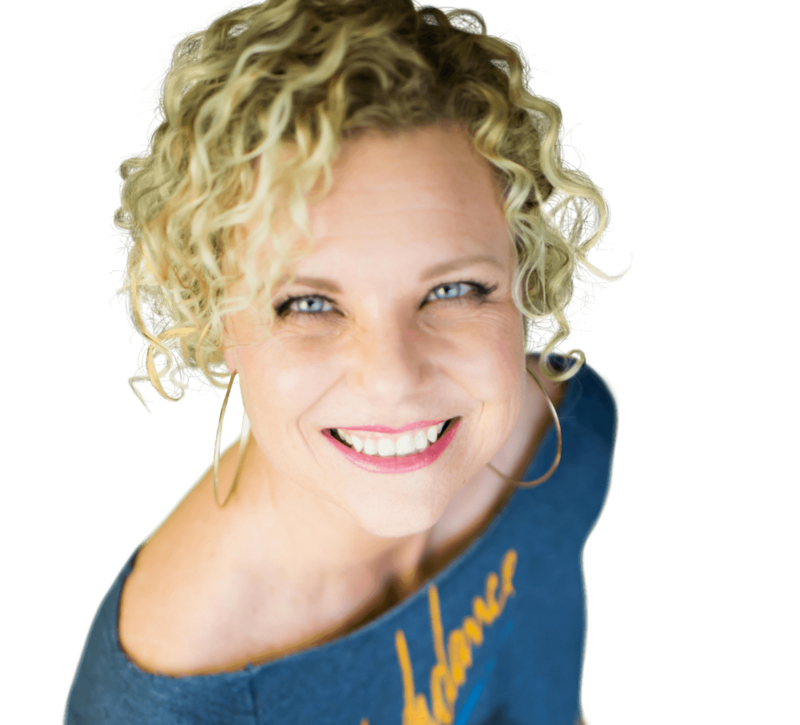 Schedule an Energy Coaching Session and tap into your resonance.